Experts with skills and talents to share are everywhere, including the many experts within our volunteer programs. Last week, in our first part of this interview, Katherine Arnup, author of the new book, “I don’t have time for this,” shared her story in both caring for loved ones and volunteering at her local hospice. In part 2, Katherine gives us insight into how we can encourage the experts among us. VPT: How can organizations recognize volunteer contributions? K: I think volunteer contributions are not easily measured. Organizations can miss out on all the things volunteers contribute by not recognizing the whole person and what they bring. I used to speak to other hospice volunteer appreciation meetings. I would have volunteers come up to me afterwards and say, “thank you so much for understanding what we do and thank you for validating us and our work.” The volunteers were so grateful to be fully heard and understood beyond receiving lip service or a pin for hours volunteered. VPT: How can volunteers help other volunteers? I would talk about how at first I would get mad at myself for making mistakes, but then I learned that we are not perfect and I wanted volunteers to know that, so I shared my mistakes with them. VPT: How can organizations support volunteers who have talents to share? K: I think it’s important that organizations not be afraid to celebrate what volunteers are doing. For example, the hospice where I volunteer recently started including volunteer stories in their newsletter. But I think there’s this common perception that by recognizing particular volunteers, others may feel left out. I don’t think that’s the case. A long time ago, I spoke at a staff meeting where I told them the story of why I volunteered. Afterwards, one of the staff came up to me and said, “I had no idea why you were here until you told us.” Volunteers should be encouraged to share their stories at both staff and board meetings. Every volunteer has a story to share. We should be posting these stories and celebrating the whole person. What organizations need to realize is volunteers are out there talking up the mission. Instead of merely issuing statements like, “we couldn’t do what we do without volunteers,” staff need to realize that volunteers are spreading the word about the organization and that reflects positively on staff. When I taught the first year seminar, “Contemporary Controversies in Canadian Society,” I was working full time as a professor and volunteering four hours a week at the hospice. I included a segment in the seminar on disability, aging, death and dying, something the first year students were initially uncomfortable with. They didn’t know how to talk about death and dying, although most all of them had suffered some sort of a loss. Although they did not want to talk about it, they shared their experiences and afterwards they told me it wasn’t so bad. VPT: That’s a very powerful message. K: Volunteers are ambassadors for their organizations, at work, at school, wherever they are. Organizations should realize that fact and celebrate their volunteers. VPT: Thank you Katherine, for your wonderful book, your expertise and for sharing your insights with us. Every organization with a volunteer component has experts, passionate people, dedicated advocates and potential game changers in their midst. As Katherine said, recognizing volunteers does not diminish the enormous contributions staff make. On the contrary as she points out, volunteers who talk up the mission, spread the word and contribute to achieving goals reflects on staff and the organization as a whole in positive ways. 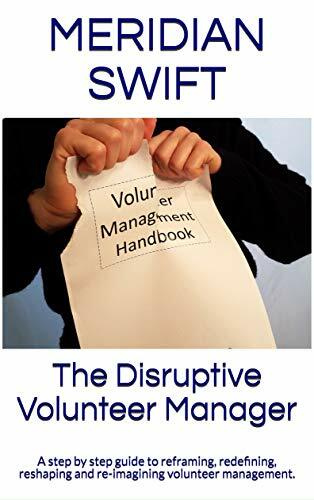 We have to move our organizations into embracing volunteers and volunteer contributions as reflections on the importance of the mission and the work being done to achieve goals, no matter who is doing the contributing. As Katherine pointed out, we must get to know volunteers as whole people, a practice that just might lead to amazing outcomes. Or maybe the better question is, “how much more quickly and efficiently can organizations solve societal challenges if they embrace everyone (volunteers included) who passionately wants to see them succeed and are willing to work hard to further mission goals? 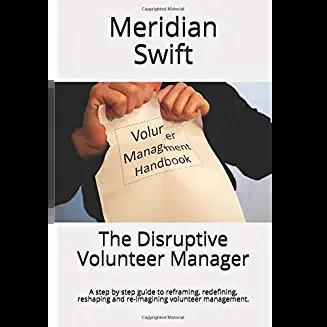 Part 2 of the interview I did with Meridian Swift, volunteer manager and blogger extraordinaire. Writing this blog has enabled me to meet people literally around the world who are committed to volunteering, hospice care, and justice. Enjoy!